Home /Knowledge Base /For Buyers/Purchasing/What are Credits? Home /Knowledge Base /For Buyers /What are Credits? Credits is our internal currency. You can use your Credits to purchase items with a single click. 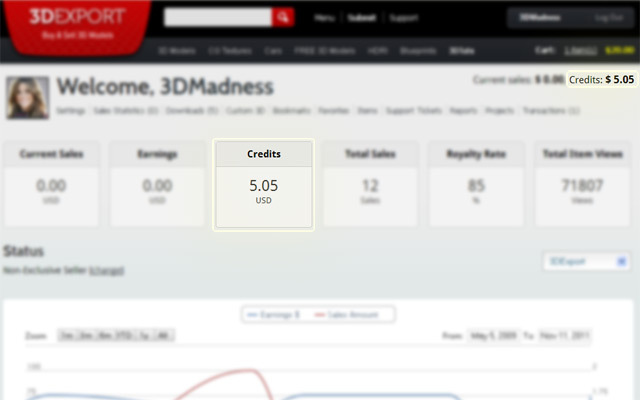 Credits also function in any of the stores of 3DExport network. (namely 3DExport.com, PSDexport.com, WPExport.com).